Stoner Bunting is expanding its successful 34-year-old multi-channel, integrated agency by naming Cheryl Shinton managing director. An industry leader with nearly 25 years of experience in B2B marketing, digital advertising, public relations and website design, she will oversee the company’s day-to-day operations. “Stoner Bunting has built its position in the marketing industry by providing our clients with integrated, conversion-focused marketing content that successfully engages their target audiences and moves them forward on their customer journey,” said Dan Nguyen, president and owner of Stoner Bunting. “Cheryl brings a unique set of skills and experience to the role and will push the agency to continue our success as a leader in B2B home, design and building product marketing,” he added. Shinton recently re-joined the Agency after a five-year hiatus, previously serving as an account director from 2008 to 2011, and now leads strategic direction for Stoner Bunting clients such as CertainTeed Ceilings, Belwith Products and ShurTech. 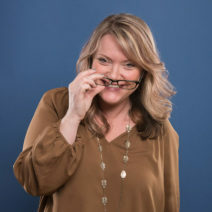 Prior to Stoner Bunting, Shinton dedicated more than six years to developing and expanding her company, Desert Elements Design, which she co-founded in 2001 and served as director of account services and strategic planning until 2016. She first launched her marketing career as an account executive with The Martin Agency where she specialized in B2B marketing on one of the first integrated accounts at the agency, FMC Corporation, incorporating traditional marketing, PR and website development. Shinton is a graduate of the Perley Isaac Reed School of Journalism at West Virginia University, where she earned a Bachelor of Science in journalism. During her two decades as a marketing professional she has honed her skills in the realm of digital marketing and media before returning to Stoner Bunting to administer her insights and mentorship to surrounding team members.